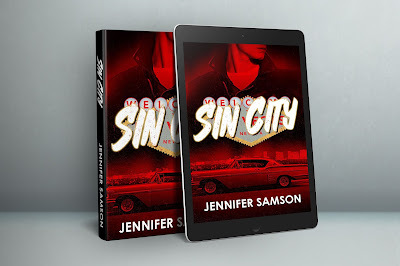 The lovely Jennifer Samson has dropped into The Writing Greyhound today for a chat about her writing and her latest book Sin City! My name is Jennifer Samson, and I’m from Vancouver, Canada. I’ve been writing seriously since the 1990s, and have had poetry, short fiction and novels published, both indie and traditionally. I always liked telling stories. As a kid I’d have long phone conversations with friends making up stories about interacting with our favourite TV show characters. It never occurred to me to write them down until we had to write a fictional two-page story in grade 6. What draws you to writing for a new adult audience? I always wrote YA growing up, but as I aged I realised I was ageing the characters up slightly and putting them in more adult situations. At the time there was no New Adult category, so I was sort of in a no man’s land. I like that I can have elements I love from YA and adult fiction blend together. I think my favourite age group is the college/just out of school age. So many possibilities. Tell me about Sin City. Sin City is set in 1966 Las Vegas and follows a naïve 19-year-old as she moves in with her brother and meets up with a local criminal who ends up needing her help with a scheme he has going. It’s a crime/romance and I have sequels in the works for the future. I used to start with baby name books and hunt down the perfect name to inspire me with a character. Now I find I think more in terms of situations people could get into, and the characters follow from that. I think television, news, online interaction … pretty much everything out there can serve as inspiration. It’s being able to pull something from that seed that’s the hardest part. You’ve done a lot of research for the book. How important is book research to you? I am really picky about research. Part of it is that I love research itself (or maybe I love procrastination?) I actually can get a bit too into research to the point where I end up with detailed notes on things that never end up in the book (usually thanks to falling in a black hole of Wikipedia and TVTropes reading). Las Vegas was especially hard because of the time period – it’s a city that changes so fast and didn’t preserve a lot of its history, so getting research right can be challenging. Can you tell me about your research visits, particularly to LA and the Mob Museum? I joke that I set the book there so I’d have more excuses to visit, but it was more that I’d already been there and was really interested in the city’s history. The mob influence was the thing that stood out the most, and the Mob Museum was the best place to learn about it. They converted the old court house into a museum, and it’s filled with 3 floors of exhibits covering everything from the earliest days in Las Vegas to the huge police operations aimed at catching mafia figures to the influence the mafia had in other cities. I’d done book research before going, but there’s something different about seeing a mobster’s actual weapon, or pictures of the aftermath of a car bomb when you realize this was real in the city and not a movie. In the past ten years I’ve tended to get drafts done during National Novel Writing Month in November, and then spend the next few months/year editing a previous NaNo novel. I tend to write in the mornings and edit in the afternoons. 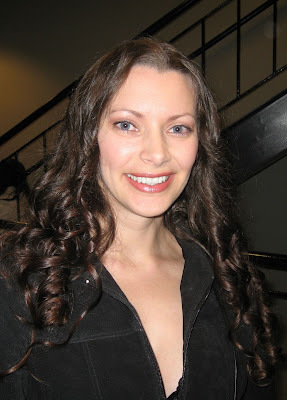 My editor is a great motivator – she will often write a scene from another character’s POV, or write something I mention “off screen” as a little treat for me if I finish something. It’s really fun, she’s a great writer herself, and it often inspires me with new ideas. Apparently I work well on a reward system! It’s very isolating. Writing tends not to be a group activity, so there’s a lot of time spent alone in my house working. I do have some great online writing connections to bounce ideas off, and that’s helpful, but it’s not the most social activity, which can be hard. Stephen King has this great section in Misery where his character, a writer, describes poking at the page and writing bits and pieces and then suddenly hitting on something and “falling into the page” and being in that world. It was something that totally resonated with me. There are times when I get so involved that I feel like I was completely in the world I’m writing. It’s a great feeling. I read a lot of suspense/thrillers and love Tess Gerritsen, Kathy Reichs, and Lisa Gardner for how they write strong female characters. S.E. Hinton was a big inspiration for writing male characters – I used to have a huge problem writing male POV, but her books really changed that for me. Even though my writing is nothing like his, Douglas Coupland is a big inspiration for how he uses Vancouver and Canada in general in a lot of his writing. Keep writing and keep reading. Looking over my early work is cringe-worthy, but it shows progress, which is a huge help when you feel like you aren’t getting anywhere. When you can literally see your improvement, it makes it easier to keep going. The more I read, the better my own writing is as well. You subconsciously learn how to better construct things if you read good books all the time. My other tip is to save everything! Keep your notes, keep your drafts. It might be hard to look at old stuff, but it can serve as great inspiration in the future. My old notebook of ideas from when I was a teenager is hilarious, but it also has some nuggets of ideas I could work with now. Just one?! Not possible lol. The Outsiders by S.E. Hinton – probably the only book I read for school that I loved and one that still resonates today. Microserfs by Douglas Coupland for its characters. For emotional impact, Mary Willis Walker’s Under the Beetle’s Cellar made me cry, which is rare. I usually write sitting on my bed cross-legged with the laptop in front of me. I get the most work done there. I also get really bad back pain there, but I can’t stop doing it. I think my focus right now is to just keep plugging along putting out my books and trying to get them out there. Being introverted and shy, it’s hard to promote myself, and when you’re an indie writer, that’s a huge (terrible!) part of the job. If I can get better at that, I think it will help a lot. I have no picture in my brain for this. Probably secretarial work since I do that on a temp basis right now. I’ve recently gotten interested in fountain pens, and I have over 60 ink samples and 6 pens, and love playing around with it. My handwriting is abysmal, but hopefully this hobby will improve it. I also love nature photography, crafts (knitting, crochet, cross stitch) and I always have the TV on the background. 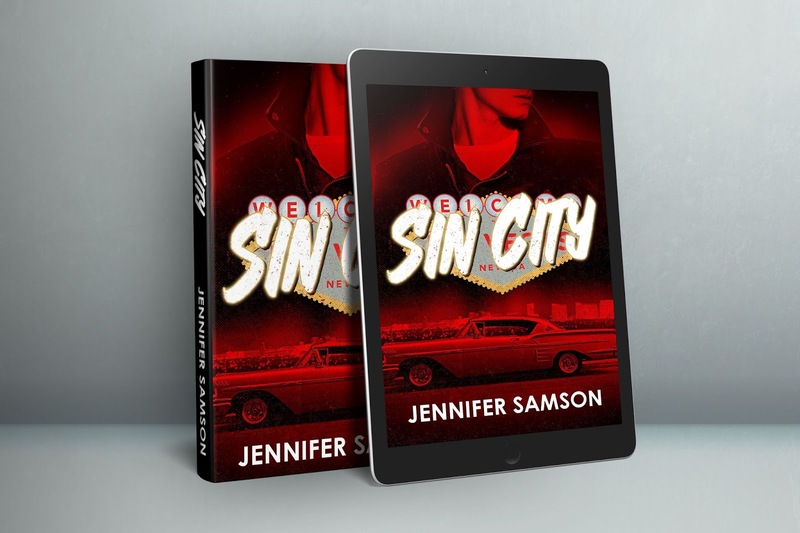 Right now I’m editing and re-writing the second book in the Sin City series, which takes place a few months after the end of the first book. So I’m doing a lot of research again. I like both, but I prefer traditional books. I love the portability of a reader with hundreds of books on it, but in general I like holding a real book. I definitely prefer traditional books when I’m looking up stuff in them – so much faster flipping pages. And if you drop it in the bathtub, you haven’t lost hundreds of dollars in electronics. Although Kobo has a new waterproof reader that might sway me. I hear you’ve recently read Harry Potter for the first time. What did you think of it? I’m actually re-reading. I read the series a few years ago for the first time. I think I avoided it for so long because I thought it was just kids books, but it was hard to ignore that pretty much every adult I knew had read them. The first two books had me thinking “wow, this is a great kid series” and then as the books went on it was more “… kid’s read this?” lol. I loved how the books aged with her readers, and became more and more complex and adult. She didn’t talk down to her readers, and included government stuff and things I never would’ve thought kids would be interested in. Her creation of spells and things based on real etymology was so cool. I’m re-reading Harry Potter and the Order of the Phoenix. So hard to get through because my hatred of Umbridge. After I finish the rest of the series I have an Iris Johansen book in the wings. 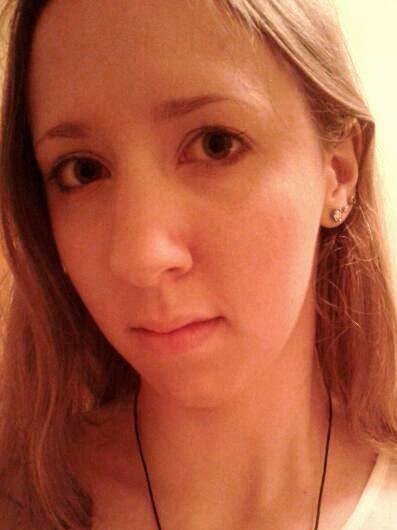 To find out more about Jennifer Samson, visit her website or follow her on Twitter, Facebook, Instagram or Pinterest. Sin City is available to buy now.